Offit Kurman’s Wilmington employment team successfully defended a Third Circuit Court of Appeals challenge of a jury verdict in their client’s favor in an Americans with Disabilities Act case. The Third Circuit ruled in a published opinion that the employer failed to object to a jury instruction based upon a theory of the case and therefore waived this basis for appeal. The Offit Kurman team, consisting of Kevin Fasic, Katherine Witherspoon Fry, and Anthony Delcollo, had argued that regardless of the fact that the jury was wrongly instructed, using the Third Circuit model jury instructions for civil trials, the resulting verdict in their client’s favor was appropriate because employers have a duty to engage in the interactive process to determine whether employees have disabilities, if so requested by employees. Although the Court failed to answer this question, Offit Kurman’s team believes this is best practice and counsels employers always to discuss possible disability issues with employees. 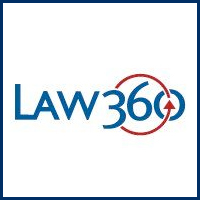 Law360 (April 1, 2019, 8:08 PM EDT) -- A Delaware nonprofit can't get a new trial over an ex-employee's claim that it refused to accommodate her dyslexia, even though she had originally won based on the parties' outdated interpretation of the Americans with Disabilities Act, the Third Circuit ruled Monday. In a published opinion, a Third Circuit panel said that even though a 2008 amendment to the act had removed the obligation to accommodate people who were "regarded as" disabled without demonstrating that they actually were, Tamara Robinson's employer First State Community Action Agency never raised the issue until the case came to the Third Circuit. "Both parties proceeded under the 'regarded as' case theory throughout litigation, trial and post-trial briefing. Only now does First State seek to unring the bell and overturn the jury's verdict because the jury was instructed that the 'regarded as' case theory was valid," Judge Julio M. Fuentes wrote for panel. "We hold that First State has waived this argument because of its continued acquiescence to Robinson's case theory, its encouragement of the adoption of the very jury instruction to which it now objects, and its failure to include this error in its post-trial briefing." Ms. Fry has 22 years of litigation experience in every Delaware court, the U.S. Court for the District of Delaware, and the U.S. Court of Appeals for the Third Circuit. She has also represented clients in proceedings before the Delaware Department of Labor, the Equal Employment Opportunity Commission, the Merit Employee Relations Board, and the Delaware State Board of Education. 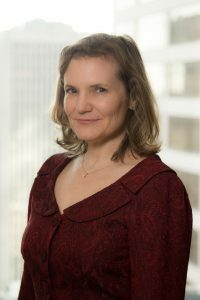 Her employment practice focuses on discrimination; employment termination; unemployment compensation appeals; Fair Labor Standards Act issues; creation and review of employee handbooks and policies; severance agreements; and labor relations. 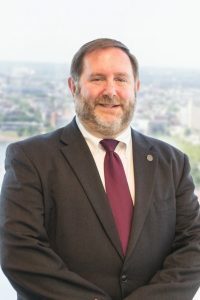 Mr. Delcollo practices in the areas of employment law, commercial law, construction litigation, government regulations, professional licensing, and provides clients advice regarding the right to keep and bear arms. He has represented clients before various administrative boards and Delaware courts. 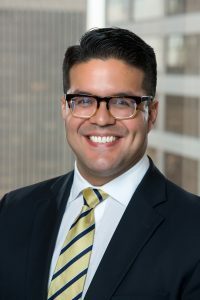 Although his practice focuses on courtroom litigation, Mr. Delcollo regularly consults with clients respecting construction contract formation, contract drafting, contractual interpretation, non-compete contracts, severance agreements, and employment contracts/executive compensation.